In Australia the Rover 3500 (SD 1) was launched in 1979, but by 1981 it was clear the car was going to end up being a niche product. It sold to a small niche of British car anoraks, who didn’t mind the appalling quality, or the simplistic engineering ethos. 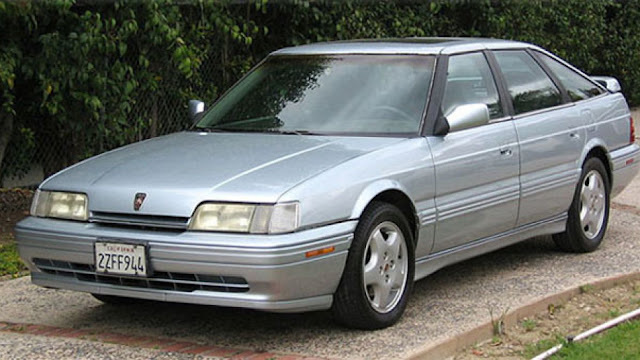 Coincidentally at that time Austin Rover and Honda Motor had joined forces to design a new full-size luxury car which could replace the Rover 3500; and at the same time give Honda a car it could sell in the USA. The first fruits of the joint venture were launched in 1986, and because of the Honda link, and wide respect for the Japanese carmaker, the first Rover 825s received a slightly more than lukewarm response. 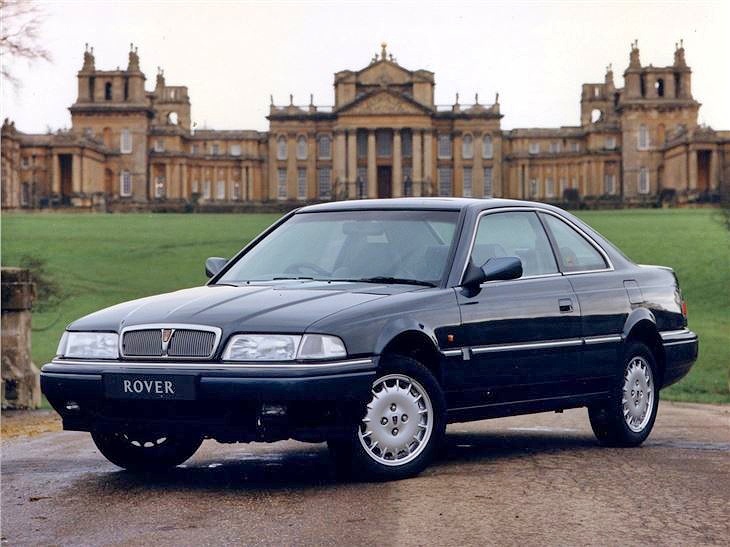 Despite the fact the Rover 800 was built at Cowley in the UK, Honda’s production engineering input ensured that the quality was probably the best to exit a British Leyland car plant for many years. Early in 1985, on a business trip to the UK, I had been invited to meet the Head of Design for the Rover project, Royden Axe. 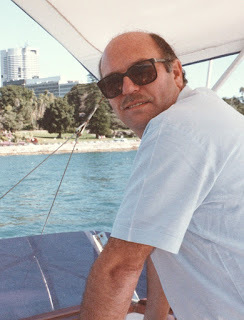 We met in his office in Canley, and established one of those ’30 year friendships in 3 minutes’ relationships. Roy was already a world famous designer, starting off as an apprentice body engineer at Rootes Group (Hillman, Humber and Sunbeam cars); then moved to Chrysler, where Lee Iaccoca made him Head of Design as he rebuilt Chrysler from the rubble he’d inherited. I was introduced to two of Roy’s henchmen, Gordon Sked and Gerry McGovern. Gordon I liked very much at first meeting, but Gerry was another matter. I had never met a young man so full of himself. Funnily enough, I still think that way about him today, despite his great success at Land Rover. Gordon and Roy were keen to show me progress on the Rover 800, and we viewed a sedan clay just being finished. Gordon also showed me some of the initial sketches prepared by a bright young designer called Steve Harper. 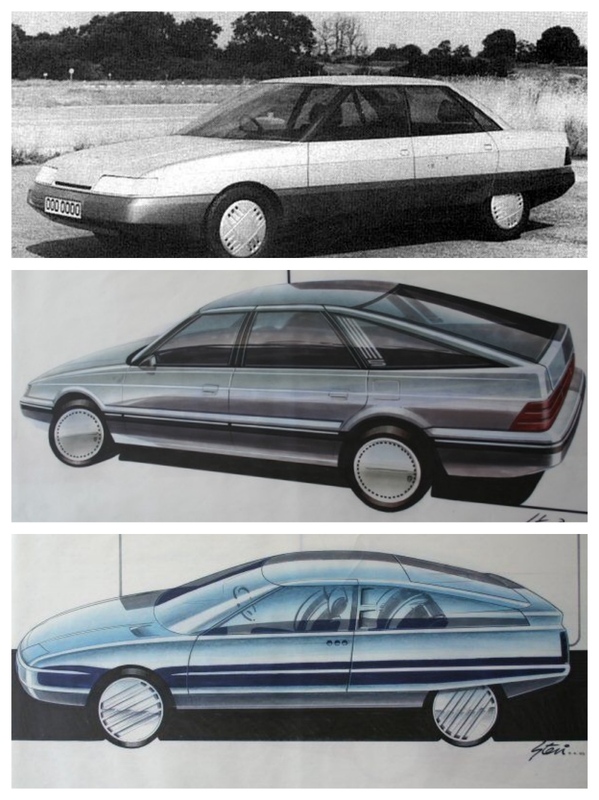 The concepts were certainly a break from any traditional Rover styling. I must admit when I first saw the 800, I thought it was a bit austere and slab-sided, but hey, it was new, it wasn’t an SD1, and it had Honda underpinnings. 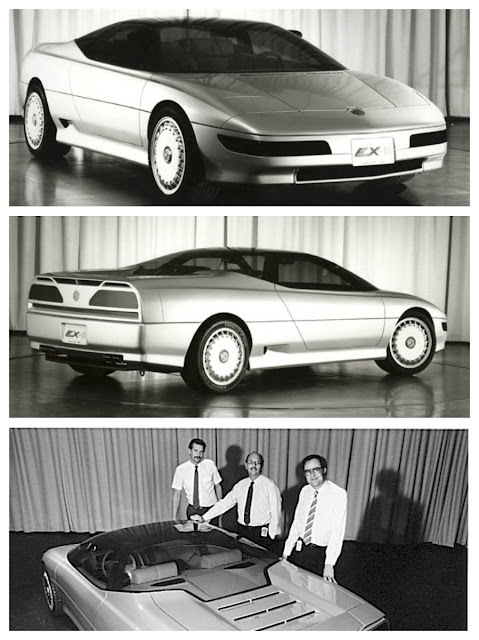 It just had to be better than the SD1. 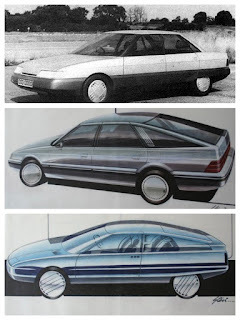 On that 1985 visit, just before I left, Gordon Sked took me into another studio to show me a concept car Austin Rover was planning to show in Frankfurt, a few months later. There for the first time I saw the MG EXE concept, designed by Gerry McGovern. 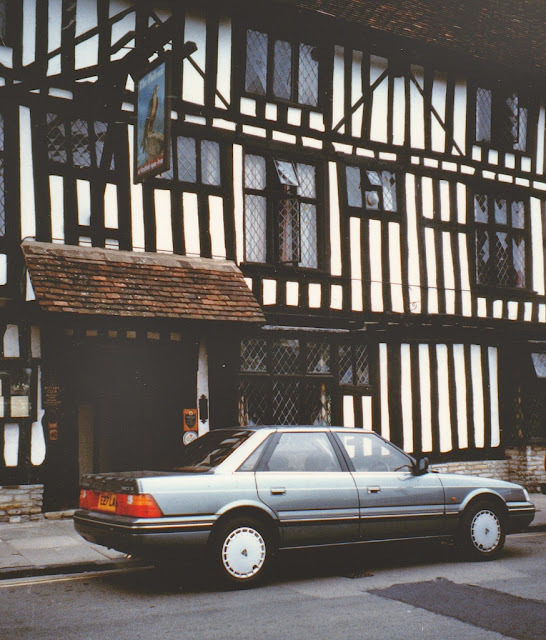 From 1986 onwards, I used a number of different Rover 800s during my trips to the UK, and as mentioned previously, my wife and I toured England and Scotland extensively in a Vitesse hatchback. The cars were reliable, and soon became a big hit in the UK, with the sole exception that owners complained about lack of power. That was resolved in 1987 when the Honda-bred V6 engine was boosted to 2.7L. Sadly, the cars headed for sale in the USA must have been built at BL’s (now closed) plant at Speke in Liverpool. The quality of the American cars was atrocious, and they demonstrated dreadful reliability problems. The Sterling marketing exercise in the USA ended in tears. 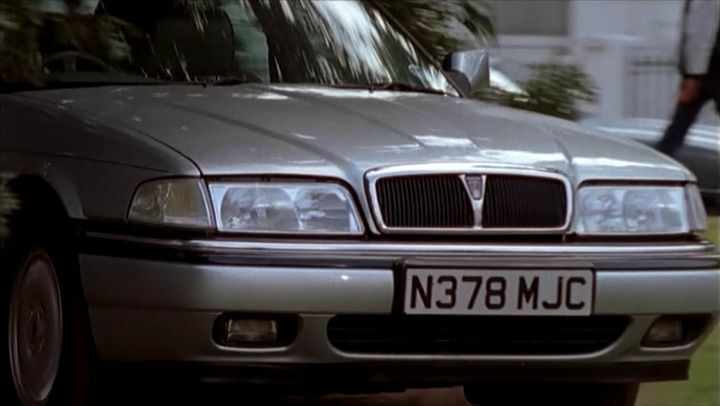 It was the design team’s first attempt to change the anonymous and frumpy front face, with a modified (see, small) Rover grille. However, it was ugly. The team had handmade the grille, and basically glued it onto the front of the clay model, and it looked like it. We returned to Roy’s office to discuss the viewing, and here I played a very small part in resolving our differences. We went back into the studio and I suggested some changes in surfacing and style lines, which might make the grille look more integrated, rather than glued-on. A week later, on my way back down south to Heathrow to fly home to Australia, I called into Canley to see the result. It looked completely different, and a much more cohesive appearance. 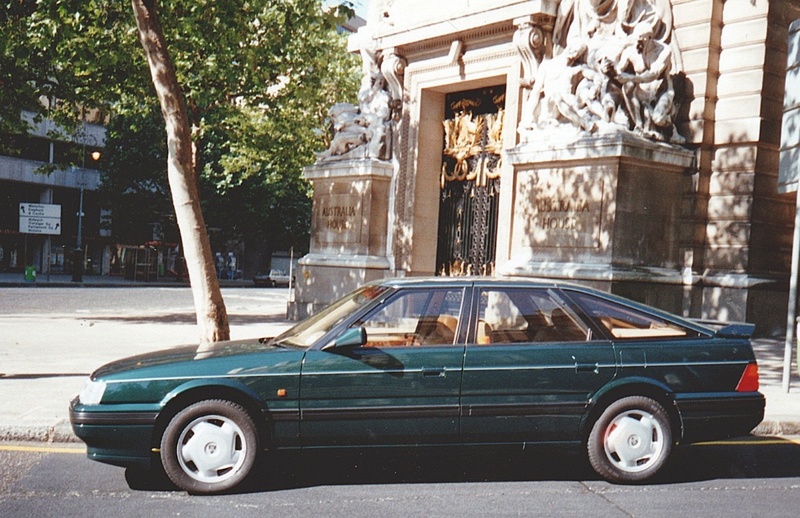 The updated Rover 827 sold in larger numbers, because most people agreed that Rover had got the recipe right. The design boasted a few subtle tweaks which improved the lines, and the more powerful engine delivered much improved performance. For the Australian launch, I flew to the UK, and worked on a promotional film with Michael Parkinson, which certainly helped ‘sell’ the car to the hard-bitten Australian automotive media. 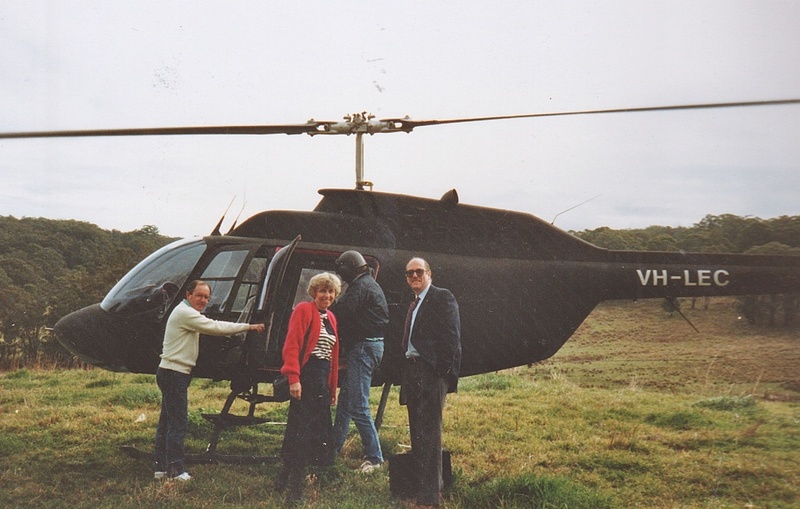 I also flew Roy and his wife Pat to Australia for the media launches, flying them from event to event in a Bell Jet Ranger, owned by my good friend Terry Boom. I have enjoyed strong links with the Rover marque, mostly through my close friendship with Spen King, who designed the Rover 2000, the Range Rover, and also developed Rover’s famous turbine-powered racer for Le Mans. It was very sad for me to see this once great company eventually literally fall off the edge of the table into the dustbin of history. In 1986, Margaret Thatcher had Chairman Harold Musgrove fired, and installed Canadian Graham Day, but Rover couldn’t cut it competitively, and in 1994 Thatcher’s government sold Rover Group to BMW. The Munchens battled away for a few years, before selling it for ten pounds in 2000, to a group of nasty, egotistical and inept British businessmen, which called itself the Phoenix Consortium, and renamed the company MG Rover. After allegedly raiding the workers’ pension pot for their own gain, MG Rover disappeared completely in April 2005, with debts of £1.4 billion.